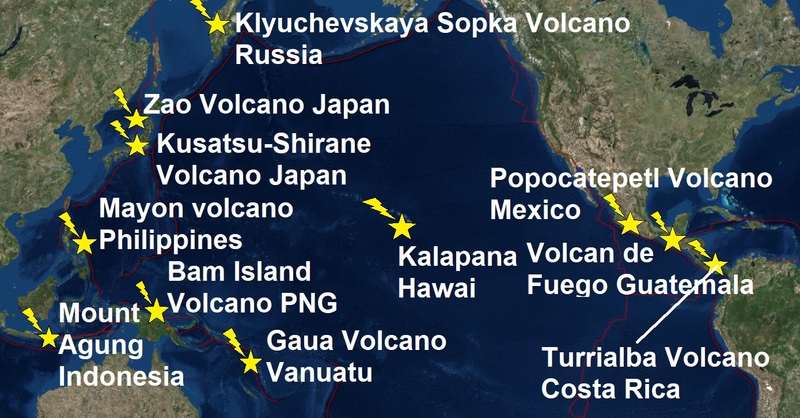 The Big Wobble: Another major quake and two major volcano explosions bringing the total to eleven volatile active colossi confirm The Pacific Ring is on Fire! Another major quake and two major volcano explosions bringing the total to eleven volatile active colossi confirm The Pacific Ring is on Fire! Pacific Ring Of Fire active volcanoes/Click on image to enlarge. A magnitude 6.0 - 265km NE of Scott Island Bank, Antarctica this afternoon is yet another major quake on the Pacific Rim, is the 13th major quake this year and we are just into February and all of them except three, I believe, were along the ring of fire. Add to that Mexico's most active volcano Popocatepetl exploding an ash column higher than a mile into the sky and the Guatemala colossus Volcan de Fuego ("Fire Volcano") spewing an ash tower 1.7 kilometres into the sky less than 50km from 3 million people we can safely conclude The Ring Of Fire is still extremely unsettled with eleven volatile active volcanoes, see above. With the Mayon volcano in Indonesia and the Kadova Island volcano Papua New Guinea expecting imminent explosions and the powerful Alaskan quake, something big could be in the offing. The whole Pacific Ring is rumbling, from Alaska to Papua New Guinea and Chile to Russia and Philippines to Mexico. 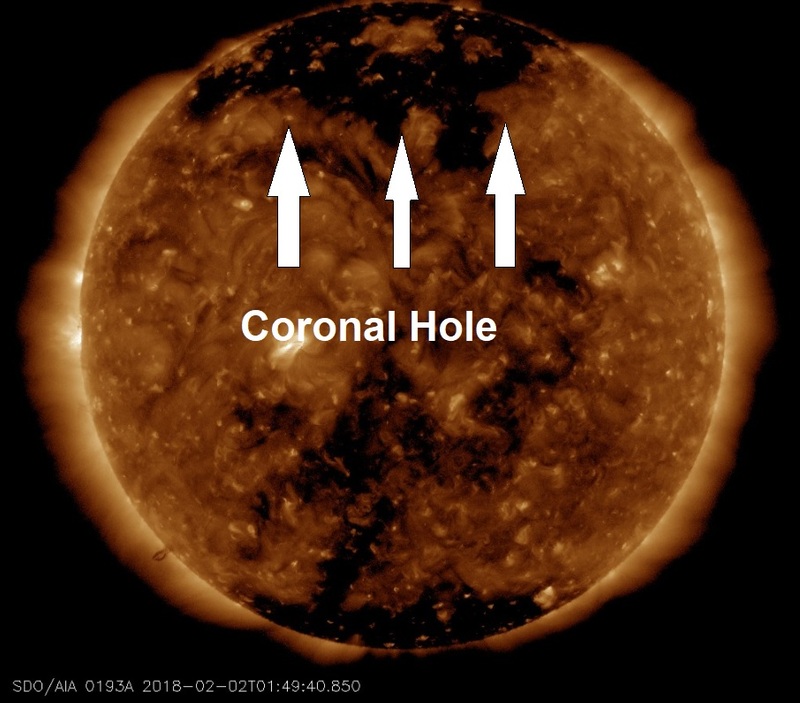 So far this year an impressive 12 from 13 major earthquakes have occurred during solar wind and or a coronal hole influencing the Earth's magnetosphere.